Asheville, North Carolina has been coined as the trout capital of the Southeast for many years. With an abundance of rivers, creeks and streams there many rivers to explore. 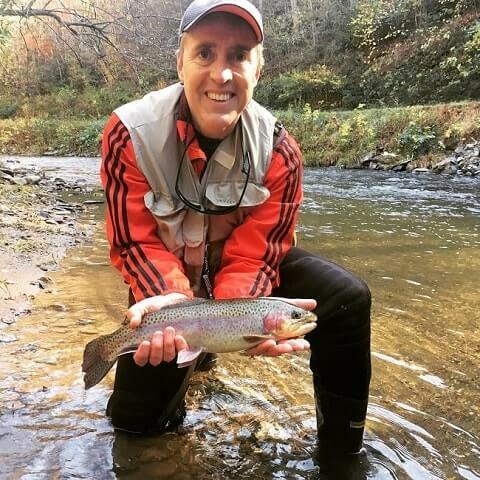 Our professional and certified fishing guides teach, and provide lessons on how to catch trophy trout in Western North Carolina, while wading our beautiful rivers. In Western North Carolina, guided wade trips are the most popular type of trip for catching mountain trout and exploring the beautiful rivers and headwaters WNC has to offer. Experience the sound of the river flowing with a fly rod in hand casting to rising trout. All of our guided fly fishing trips are private. That means you will be with your professional guide, and not a group. Rest assured, we do not hold trips with unknown parties. This means that you get one-on-one instruction and guidance throughout your guided trip from one or more of our certified fly fishing instructors. We allow up to 4 anglers per guide, depending on experience, and will have 2, 3 or 4 guides with groups over 4 anglers. We welcome anglers of all skill levels from novice to veteran. 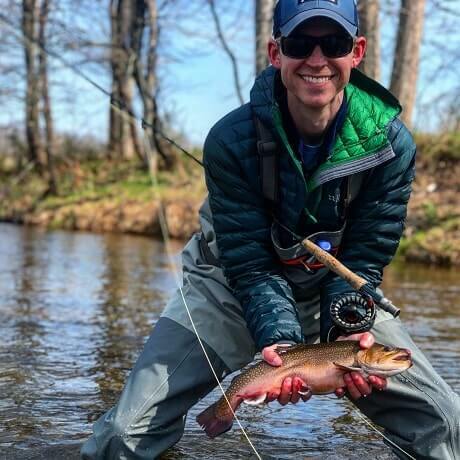 Novice anglers will quickly acquire the skills that they need from our professional fly fishing instructors, and veteran anglers will appreciate the expertise our guides have to offer on each river in Western North Carolina. Southern Appalachian Anglers, is founded on the professionalism and expertise. At SAA we also make our guided trips the best experience possible. As always, all fly fishing equipment is provided with no extra charge. Take a private, guided fly fishing trip while wading in some of the most beautiful rivers and streams in the backyard of Asheville's mountains. Wade for trophy trout and wild trout with our professional guides. All trips include all fishing equipment and waders, boots and more. We accommodate groups larger than 3. Call for more information.